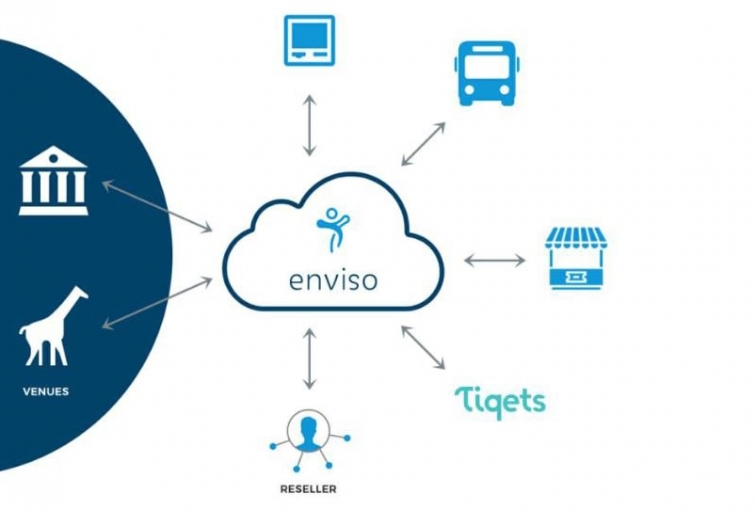 enviso trade provides recreatex customers with a pre-built cloud connection to distribute their tickets to a global ecosystem of resellers. The traditional way of establishing partnerships and managing resellers involves lengthy, manual processes. Resellers typically get a large volume of ticket barcodes for reselling. 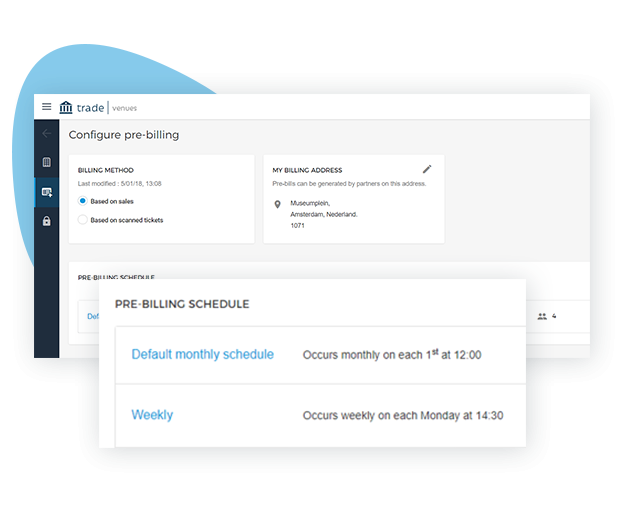 This makes venues lack real-time insights into sales performance of resellers and they can’t manage their reselling channels in real-time. This is where enviso trade comes in. enviso Trade serves as a single connection to a global ecosystem of resellers and venues. 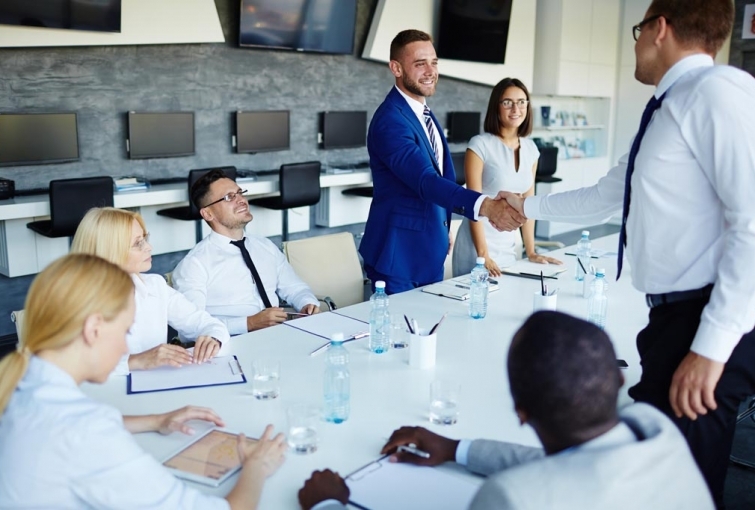 This helps you to quickly discover and connect with many partners at one place! enviso Trade allows you to on-board partners with the ease and speed of social network. 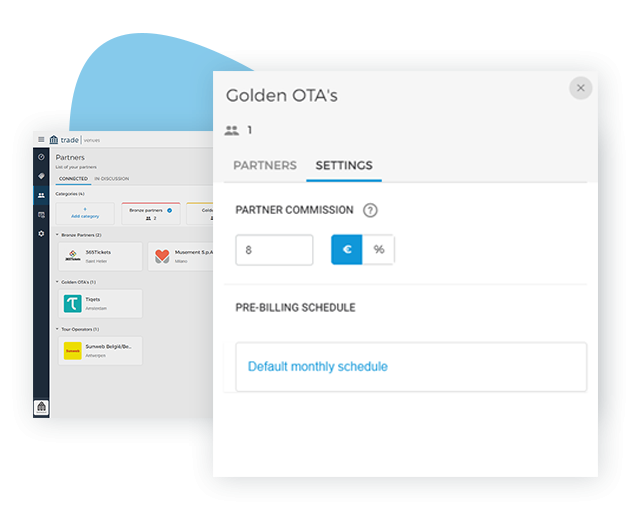 Simply search a partner, view partner’s profile and terms, and digitally send partnership request. That’s it! 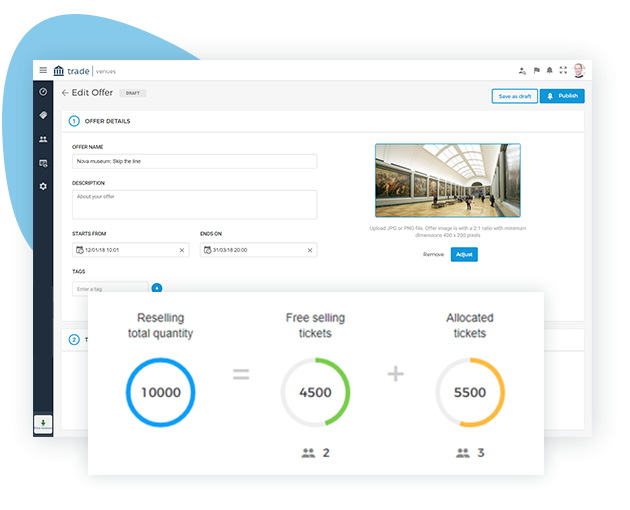 Easily assign commission and offer tickets to your connected resellers on enviso trade. 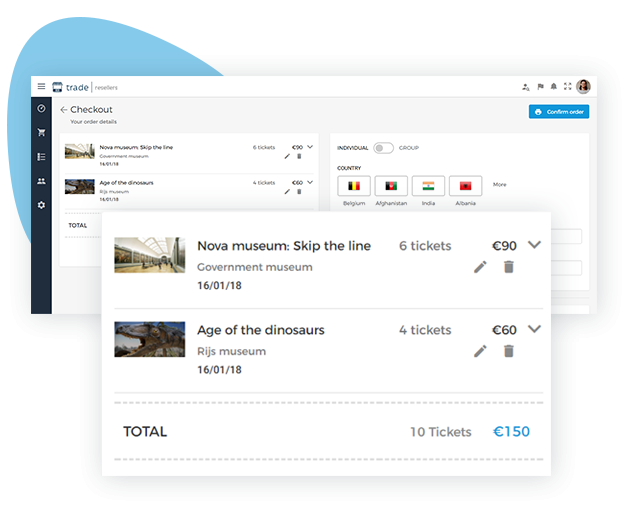 You can also change ticket distribution among resellers in real-time! 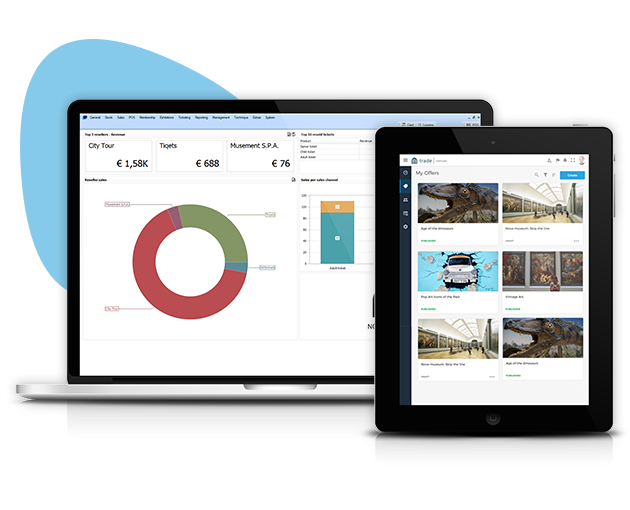 Stay on the top of your key sales statistics of with live dashboard on enviso trade. Measure partner performance and gain real-time visibility into your business! Why join the partner network on enviso trade? Having a ticketing system (ReCreateX) is a pre-requisite for a venue to join enviso trade network.